For Prelims and Mains: UNEA- composition, objectives, functions, meetings and themes. Context: The Fourth Environment Assembly was held in Nairobi, focusing on the theme “Innovative solutions for environmental challenges and sustainable consumption and production”. The United Nations Environment Assembly is the world’s highest-level decision-making body on the environment. It addresses the critical environmental challenges facing the world today. The Environment Assembly meets biennially to set priorities for global environmental policies and develop international environmental law. The Assembly is the governing body of the UN Environment Programme (UN Environment) and the successor of its Governing Council, which was composed of 58 member States. The UN Environment Assembly, with a universal membership, is now composed of 193 Member States. The United Nations Environment Assembly was created in June 2012, when world leaders called for UN Environment to be strengthened and upgraded during the United Nations Conference on Sustainable Development, also referred to as RIO+20. The first and second sessions of the UN Environment Assembly tackled and adopted resolutions on major issues of illegal trade in wildlife, air quality, environmental rule of law, financing the Green Economy, the Sustainable Development Goals, and “delivering on the environmental dimension of the 2030 Agenda for Sustainable Development”. The Third Environment Assembly took place in Nairobi in December 2017 under the overarching theme “Towards a pollution-free planet”. For Prelims and Mains: Ban on single- use plastics- significance, nitrogen pollution- causes, concerns, effects and solutions for sustainable management. Context: India has piloted resolutions on two key global environmental issues, single-use plastics and sustainable nitrogen management, at the fourth session of United Nations Environment Assembly (UNEA). The UN Environment adopted both the resolutions with consensus. Nitrogen, which is a vital macronutrient for most plants, is the most abundant element in the atmosphere. A little over 78% of dry air on Earth is nitrogen. But atmospheric nitrogen, or dinitrogen, is unreactive and cannot be utilised by plants directly. Until the beginning of the 20th century, farmers depended on a natural process called nitrogen fixation for the conversion of atmospheric nitrogen into reactive nitrogen in the soil: nitrogen-fixing bacteria like rhizobia live symbiotically with leguminous plants, providing nitrogen to the plant and soil in the form of reactive compounds like ammonia and nitrate. But the natural nitrogen cycle was inadequate to feed the growing population. Scientists Fritz Haber and Carl Bosch solved this problem by producing ammonia by combining atmospheric nitrogen with hydrogen gas at high temperature and pressure—known as the Haber-Bosch process. The Green Revolution, which was instrumental in establishing food security in the developing countries in the 1960s, was driven by artificial nitrogen-fixation. Today, about half of the world’s population depends on this process for its nutrition. 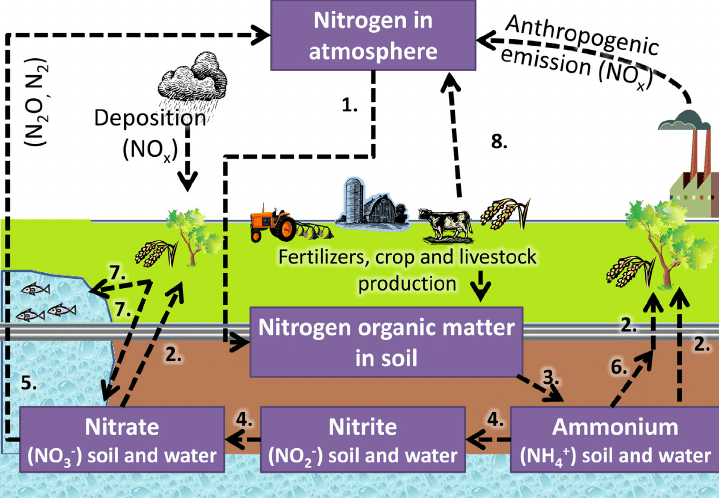 How Nitrogen turned into pollutant from nutrient how it is affecting health and environment? Nitrogen is an inert gas that’s necessary for life. But we’re changing it into forms that are harmful, overloading the environment with it, and throwing the natural nitrogen cycle out of whack. 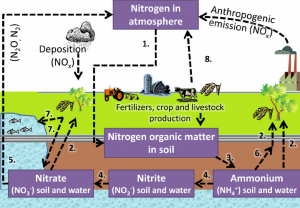 Nitrogen compounds running off farmland have led to water pollution problems around the world, while nitrogen emissions from industry, agriculture and vehicles make a big contribution to air pollution. Over 80% of the nitrogen in soil is not utilised by humans. While over four-fifths of the nitrogen is used to feed livestock, only about six per cent reaches humans in case of non-vegetarian diet, as compared to the 20% that reaches the plate of a vegetarian. Nitrogen becomes a pollutant when it escapes into the environment and reacts with other organic compounds. It is either released into the atmosphere, gets dissolved in water sources such as rivers, lakes or groundwater, or remains in the soil. While it might lead to favourable growth of species that can utilise this nutrient, nitrogen as a pollutant is often detrimental to the environment and health. According to the World Health Organization, nitrate-contaminated drinking water can cause reduced blood function, cancer and endemic goiters. Surplus inputs of nitrogen compounds have been found to cause soil acidification. The lowering pH, as a result of the acidification, can lead to nutrient disorders and increased toxicity in plants. It may also affect natural soil decomposition. It creates harmful algal blooms and dead zones in our waterways and oceans; the algae produce toxins which are harmful to human and aquatic organisms (and indirectly affects fisheries and biodiversity in coastal areas). Contamination of drinking water. 10 million people in Europe are potentially exposed to drinking water with nitrate concentrations above recommended levels. This can have an adverse effect on human health. Food Security: Excessive nitrogen fertiliser application contributes to soil nutrient depletion. As the world needs to feed an ever growing population, loss of arable land is major global problem. The release of Nitrous Oxide is essentially a greenhouse gas which is harmful to the environment. So far, 22 States and Union Territories have joined the fight to beat the plastic pollution, announcing a ban on single-use plastics such as carry bags, cups, plates, cutlery, straws and thermocol products. Puducherry is implementing a ban from March 1. India has also won global acclaim for its “Beat Plastic Pollution” resolve declared on World Environment Day last year, under which it pledged to eliminate single-use plastic by 2022. All such efforts have yielded positive results: Voluntary initiatives are having an impact in many States, as citizens reduce, reuse and sort their waste. A Bengaluru waste collective estimates that the volume of plastic waste that they collect dropped from about two tonnes a day to less than 100 kg. 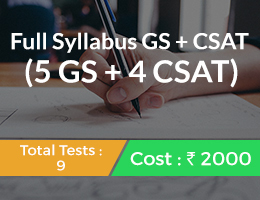 For Prelims and Mains: What are CbC reports- brief background, need and their significance. 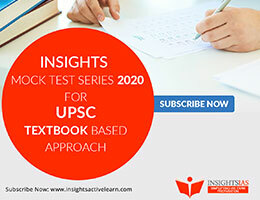 Context: India and the US can now exchange country-by-country (CbC) reports filed by the ultimate parent corporations based in either of the countries. This will reduce the compliance burden on their subsidiaries operating out of these countries. The agreement would enable both the countries to exchange CbC reports filed by the ultimate parent entities of international groups in the respective jurisdictions, pertaining to the financial years commencing on or after January 1, 2016. 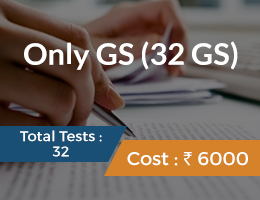 The Income Tax Act requires Indian subsidiaries of multinational companies to provide details of key financial statements from other jurisdictions where they operate. 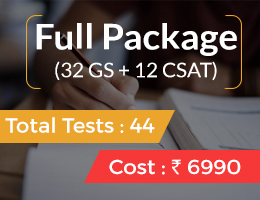 This provides the IT department with better operational view of such companies, primarily with regards to revenue and income tax paid. The provision was a part of the base erosion and profit shifting action plan, and later incorporated in IT Act also. The BEPS Action 13 report (Transfer Pricing Documentation and Country-by-Country Reporting) provides a template for multinational enterprises (MNEs) to report annually and for each tax jurisdiction in which they do business the information set out therein. This report is called the Country-by-Country (CbC) Report. For Prelims and Mains: About Ramakrishna- teachings, beliefs, contributions and famous disciples, Ramakrishna Mission. Context: In a bid to conserve environment, the Ramakrishna Math and Ramakrishna Mission will break an age-old tradition this year, 2019 and do away with the practice of having a fireworks display as part of the birth anniversary celebrations of Sri Ramakrishna. Ramakrishna Paramhansa was one of the leading Hindu spiritual leaders in 19th century. He was born as Gadadhar Chattopadhyay on February 18, 1836, in Kamarpukur, in Hooghly district of West Bengal. He emphasised that the realization of the existence of God is the supreme goal of all living beings. For him, various religions were only a means to reach the Absolute. Among his most famous disciples was Swami Vivekananda, who became famous across the world in his own right. Reverence and admiration for him among Bengali elites led to the formation of the Ramakrishna Mission by his chief disciple Swami Vivekananda. 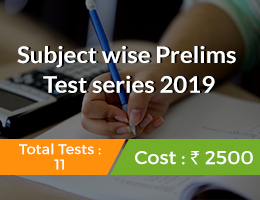 For Prelims and Mains: What is Contempt of Court? 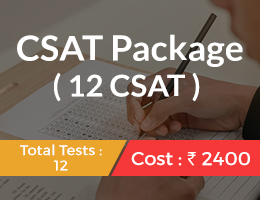 Provisions in this regard, Criticisms and analysis. Why in News? The Supreme Court has stayed the conviction and punishment of The Shillong Times editor and publisher by the Meghalaya High Court in a contempt case. In India, the Contempt of Courts Act, 1971, divides contempt into civil contempt and criminal contempt. ‘Civil contempt’ is a ‘wilful disobedience to any judgment, decree, direction, order, writ or other processes of a Court or wilful breach of an undertaking given to the court’. Scandalises or tends to scandalise, or lowers or tends to lower the authority of, any court. Prejudices, or interferes or tends to interfere with the due course of any judicial proceeding. Judiciary ensures justice and equality to every individual and institutions, therefore, the makers of the constitution upheld the sanctity and prestige of the revered institution by placing provisions under articles 129 and 215 of the constitution, which enables the courts to hold individuals in contempt if they attempt to demean or belittle their authority. Yes. The Contempt of Courts Act, 1971, very clearly states that fair criticism of any case which has been heard and decided is not contempt. The statute of 1971 has been amended by the Contempt of Courts (Amendment) Act, 2006 to include the defence of truth under Section 13 of the original legislation. For Prelims and Mains: Features and significance of the project, overview of Sittwe port, Operation Sunrise. Context: The Indian and Myanmar’s armies have, in a coordinated operation, destroyed at least 10 camps belonging to an insurgent group in Myanmar, which had become a threat to India’s mega Kaladan Project in the neighbouring country. The operation was also undertaken keeping in view the safety of Indian workers engaged in the project. The military action carried out was codenamed Operation Sunrise. Significance: It is expected to open up sea routes and promote economic development in the North-eastern states, and also add value to the economic, commercial and strategic ties between India and Myanmar. 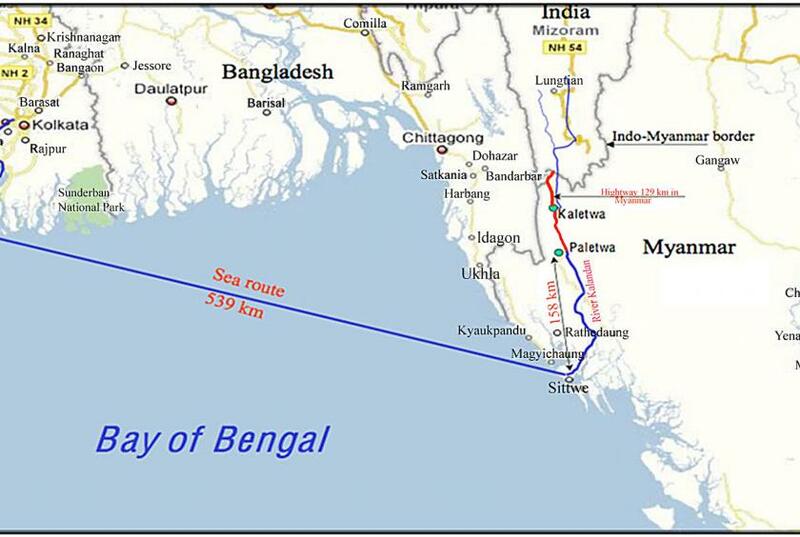 This project will reduce distance from Kolkata to Sittwe by approximately 1328 km and will reduce the need to transport good through the narrow Siliguri corridor, also known as Chicken’s Neck. Sittwe is the capital of Rakhine State (which has been in the news for the plight of Rohingya Muslims) in south-western Myanmar. It is located at the mouth of the Kaladan river, which flows into Mizoram in north-eastern India. India has for years sought transit access through Bangladesh to ship goods to the landlocked north-eastern States. At present, the only route to this region from the rest of India is a rather circuitous one through a narrow strip of Indian territory nicknamed the Chicken’s Neck in West Bengal, sandwiched between Bhutan and Bangladesh. 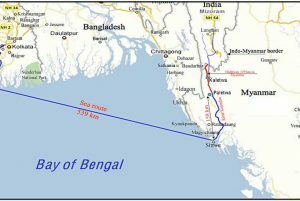 The new route through Sittwe would significantly lower the cost and distance of movement from Kolkata to Mizoram and beyond. 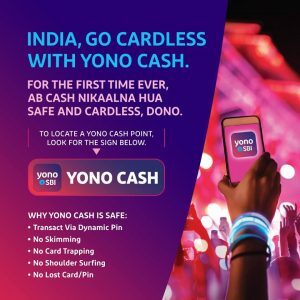 Context: The State Bank of India has launched the YONO Cash service for its customers which will allow them to withdraw cash from ATMs without their debit cards. 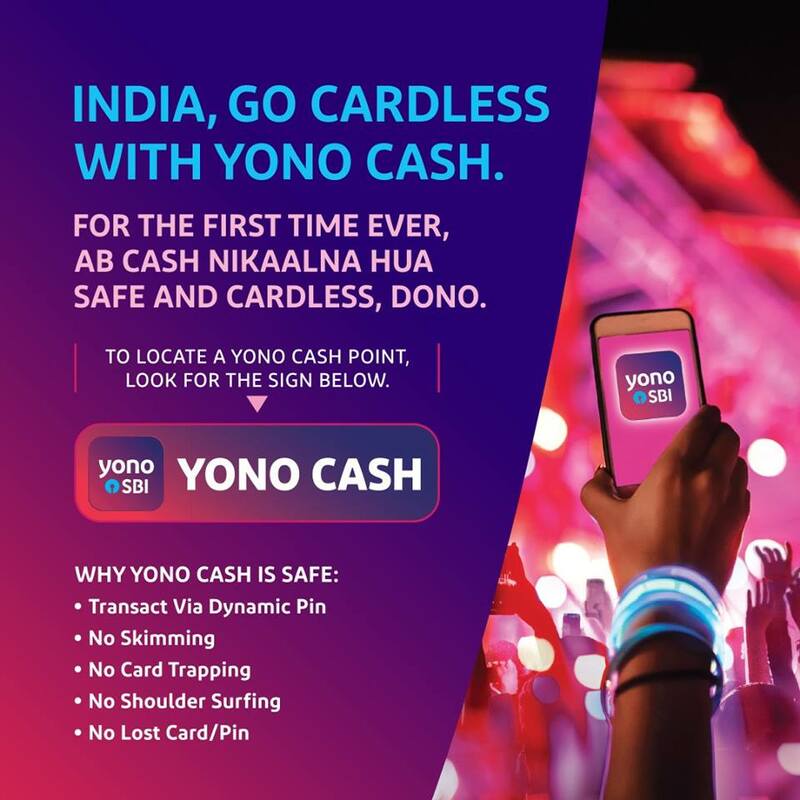 You Only Need One (YONO) is the cardless cash withdrawal service. The initiative will address concern of using debit card at the ATMs for cash withdrawals by eliminating possible risk associated with it. SBI customers can use the YONO app on their smartphones to withdraw cash from SBI ATMs, or YONO Cash Points, without using their debit and credit cards. Once a request for withdrawing cash is placed, a 6-digit code will be sent to the user’s phone via SMS, which will then have to be entered into a YONO Cash Point. Context: The Navy is set to induct the second Scorpene submarine Khanderi by early May. The first submarine of the class Kalvari joined service in December 2017. The third in the Scorpene series Karanj which was launched in January last year is in advanced stage of trials and could be ready for induction by year end. Mazagon Dock Limited (MDL), Mumbai, is manufacturing six Scorpene submarines under technology transfer from Naval Group of France under a 2005 contract worth $3.75 bn. The entire project is expected to be completed by 2020. What is it? Theatre Level Readiness and Operational Exercise (TROPEX) is an inter-service military exercise involving the participation of the Indian Army, Air Force, Navy and the Coast Guard. The exercise generally commences at the beginning of each year and lasts a month. 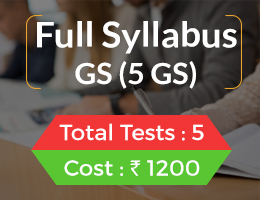 The exercise is designed to test the combat readiness of the Indian naval units, as well as the Indian Air Force, Indian Army and the Indian Coast Guard. 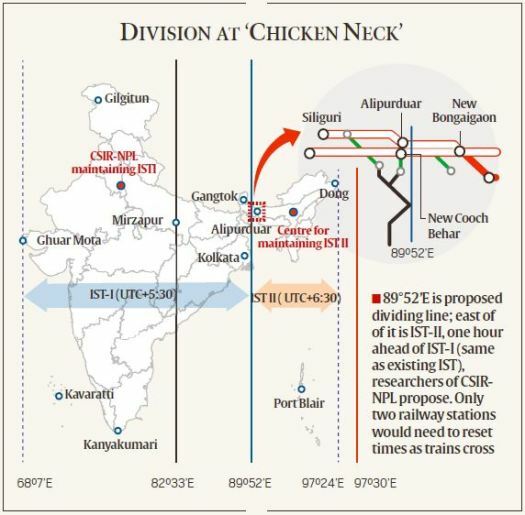 Context: Scientists at the Council of Scientific & Industrial Research’s National Physical Laboratory (CSIR-NPL), which maintains Indian Standard Time, have published a research article describing the necessity of two time zones, with the new one an hour ahead of the existing time zone. The researchers estimated energy savings at 20 million kWh a year. They also analysed the importance of synchronising office hours — as well as biological activities — to sunrise and sunset timings. Energy is saved by longer use of sunlight and consequently less use of energy for lighting. The demand for electricity goes up in the morning for water heating and increases again in the evening for five to six hours, mainly for lighting, declining as people turn off lights and go to bed. Why there is Necessity of Two time zones? Over the years, various citizens and political leaders have debated whether India should have two separate time zones. The demand is based on the huge difference in daylight times between the country’s longitudinal extremes, and the costs associated with following the same time zone. Those arguing against the idea, on the other hand, cite impracticability particularly the risk of railway accidents, given the need to reset times at every crossing from one time zone into another. Northeast India would move an hour ahead, increasing the region’s productive, daylight hours and the country’s potential energy savings could amount to a whopping 20 million kWh a year. Offices could open sooner after sunrise, and perhaps workers could even savour the last dregs of dusk as they trudge towards home or their desired form of recreation. Biomedical research has consistently pointed to the physical and psychological benefits of aligning circadian (sleep) rhythms to the sun’s rising and setting. India has a huge population: if the country were divided into two time zones, there would be chaos at the border between the two zones. It would mean resetting clocks with each crossing of the time zone. There is scope for more dangerous kinds of confusion. Railway signals are not fully automated and many routes have single tracks. Trains may meet with major accidents owing to human errors. Just one such accident would wipe out any benefits resulting from different time zones in the country. Partitioning the already divided country further into time zones may also have undesirable political consequences. Moreover, our research shows that the energy saving from creating two time zones is not particularly large. There is already a sense of alienation between the relatively prosperous and industrialised western zone and the less developed eastern zone. The people in the Northeast sense a distance from the mainland and a separateness in clock time may accentuate it.